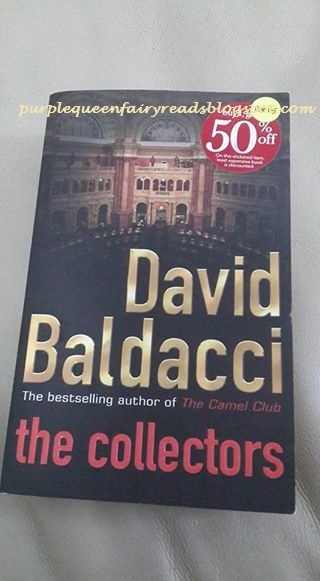 This is currently my favourite title by David Baldacci. I super love it so much better even than The Forgotten which I read last month and which I declared my favourite title...well that was then and this is now! This is so far the only title by this author that I read it cover to cover within a week as it was that exciting. The style wasn't really the style of David Baldacci which I am familiar with. This is very much a combination of espionage thriller and something Sidney Sheldon or John Grisham would write. The character, Oliver Stone reminded me so much of Ethan Hunt or Jason Bourne wheras Annabelle Conroy reminded me of Tracy Whitney, so with such strong resemblance of such strong characters, the book is pretty amazing. I found out after I read that this is the 2nd book that features a group known as The Camel Club. I got myself book #1 already from the library and you can be sure the review of that would be up pretty much very soon. All in all, there currently 5 titles which David Badalcci features The Camel Club. So back to my question, is this title actually written by David?